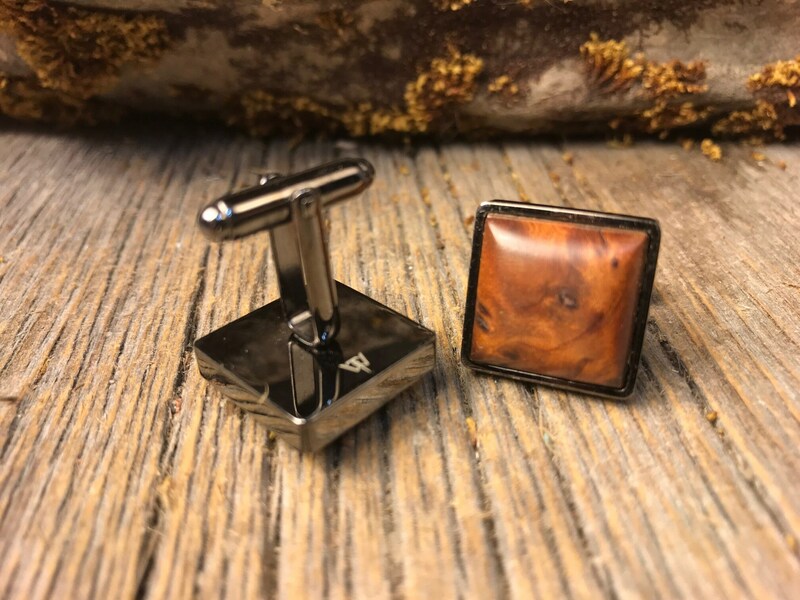 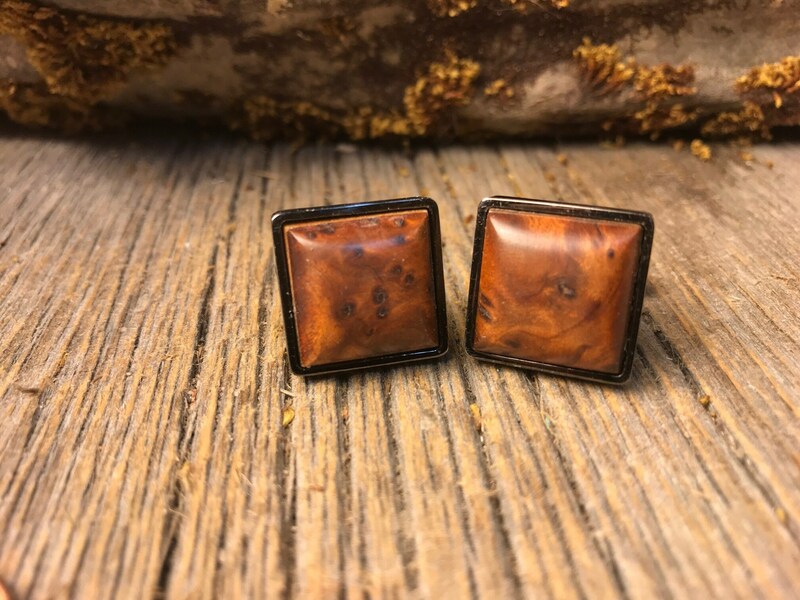 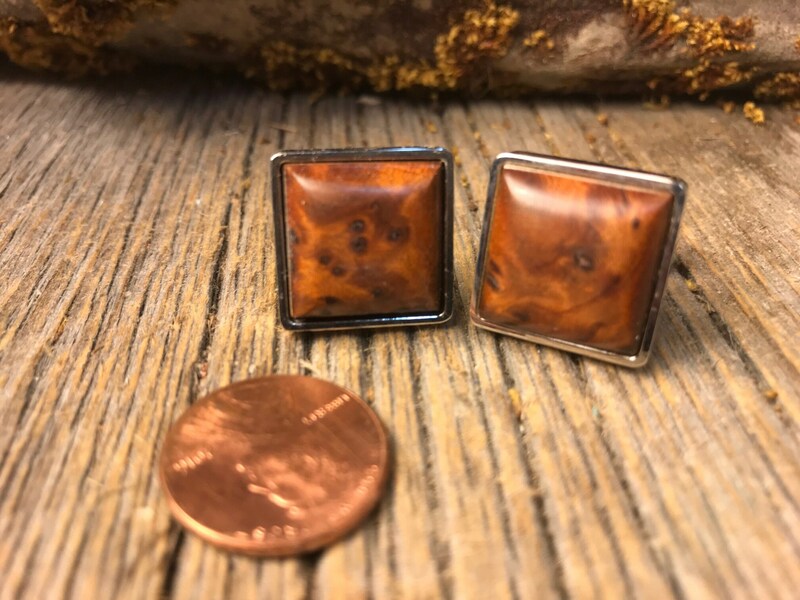 This simple and unique Cufflink Set features a gorgeous cut of AAAA Gallery Grade Morrocan Thuja Burl, precisely set into high-quality square French cufflink in either, silver or gunmetal black. 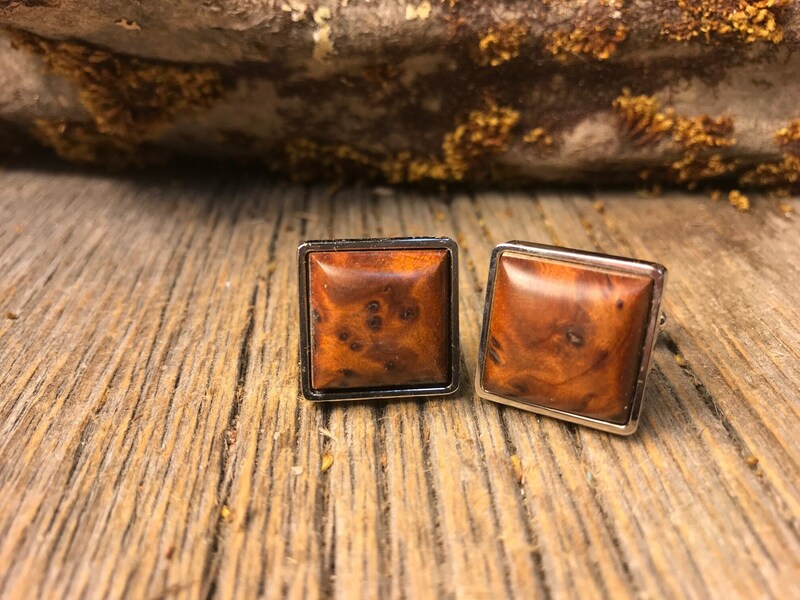 The hand-shaped blanks are cut from solid stock rather than a thin veneer, widely found on Etsy, and is meticulously sanded and finished with oil and wax. 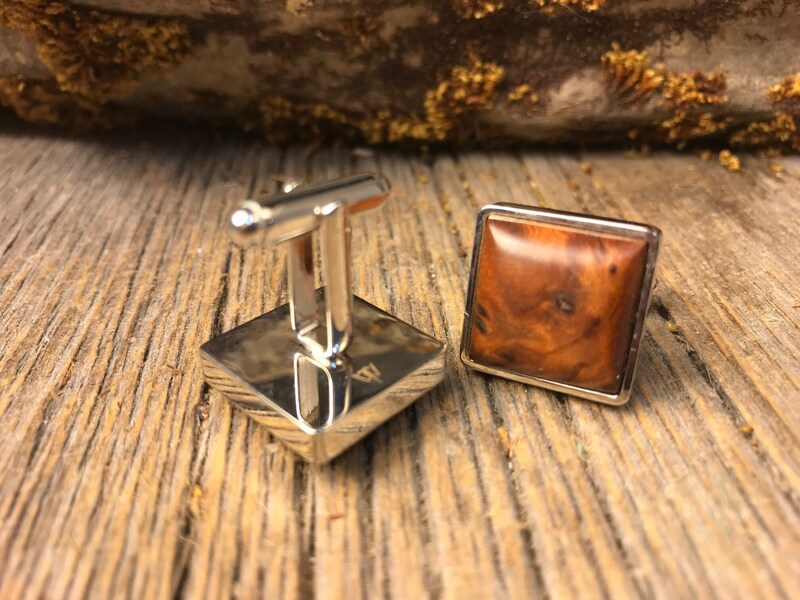 -	Each piece is then individually buffed for a finish-like warm glow, resulting in a completed piece without a surface finish that could crack, peel or flake off.